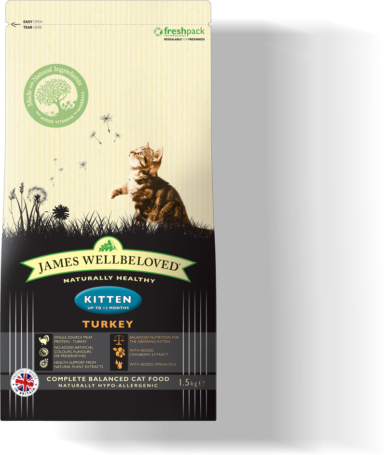 Carefully crafted & nutritionally balanced complete dry kitten food for the health and wellbeing of kittens from 6 weeks to 12 months. hypoallergenic so less likely to cause an adverse food reaction and you will never see any added artificial colours, flavours or preservatives. Not now, not ever.